Altra’s Anytime Rewards program lets you earn rewards when you use your Altra Visa Debit or Credit card to pay for qualifying merchandise and services. You’ll receive offers for cash back on purchases based on how you actually shop within online banking. So, the more ways you use your Altra card, the more offers you can receive and the more money you can earn. Do I have to enroll to earn Anytime Rewards? No. Anytime Rewards will automatically be made available to all Altra members with an eligible Altra Visa Debit/Credit card though Online Banking and our Altra Mobile app. Log in to Online Banking and select Accounts > Dashboard. Your Anytime Rewards module will appear. Or, if you prefer the Summary view within Online Banking, click on your Checking account to view Anytime Rewards. 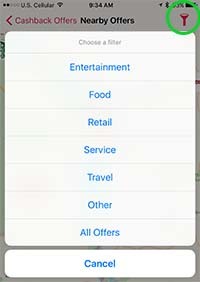 Click the blue “View All Offers” button to view offers from national retailers, restaurants, service, and entertainment providers. Please note: Your Anytime Rewards offers may take 3-5 business days to activate. When you visit your selected merchant, use your Altra Visa Debit or Credit card to pay for the transaction. Generally, no coupons are needed for in-store purchases, making it even easier to earn rewards. Some online offers require that you shop directly through a link provided in the offer. 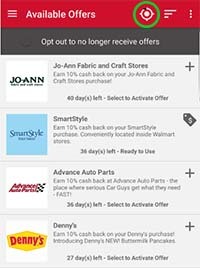 Clearly marked online redemption codes may be needed for offers at online stores. Your Anytime Rewards rewards will typically be deposited to your account the month after you redeem the offer. Since we do not share your personal information with retailers, we cannot credit your account immediately at the time of purchase. With Altra’s anytime rewards, you’ll receive offers for cash back on purchases based on how you actually shop. The more you use your Altra Visa Card, the more offers you’ll receive and the more money you’ll earn. Getting started with Anytime Rewards is easy. Just log into your online backing account and select Dashboard from the Accounts drop down menu. Your Anytime Rewards offers will appear. 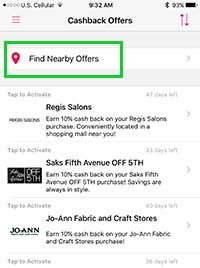 Click the View All Offers button to view offers from national retailers, restaurants, services, and entertainment providers. Simply click on the offers you are interested in and go shopping. When you visit your selected merchant, use your Altra Visa Card to pay for the transaction. Your rewards will be deposited to your Altra account the month after you redeem the offer. It’s that simple. Get started with Anytime Rewards today.